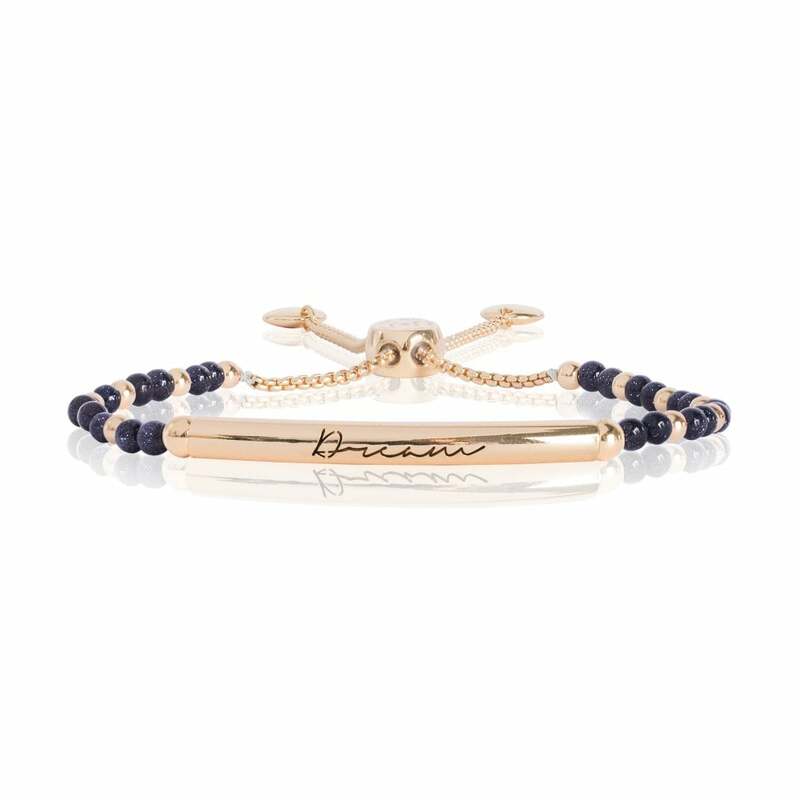 The perfect reminder to dream big!MATERIAL: Metal: Gold plated Signature stone: Navy sandstone semi-precious stone.Presented in a gorgeous, white Joma Jewellery pouch tied together with a silky white ribbon, this bracelet makes the perfect gift! Joma Jewellery's exciting Signature Stone 'Dream' bracelet is the most gorgeous incentive to follow your dreams!With beautiful navy sandstone semi-precious stones and a unique gold plated bar with the word 'Dream' enscripted onto it, this bracelet is quite literally, a dream come true!Please keep your item dry at all times and away from perfume and body creams in order to preserve any plating and to ensure your piece lives a long and beautiful life.Each piece of Joma Jewellery comes in a gorgeous Joma gift bag with a gift tag for you to write the recipients name for easy peasy gift giving.SIZE: Recommended for adults. Adjustable.